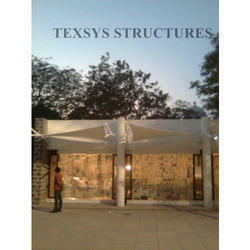 We are the leading manufacturer, wholesaler and exporter of Entrance Shades to our valuable clients. Being a highly effective, lean and fast-moving organization, we are highly instrumental in providing an extensive array of Latest Sun Shades. 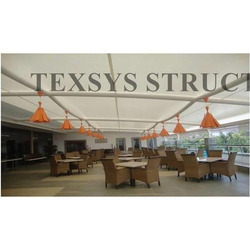 These sun shades are manufactured by our experienced professionals using optimum quality raw materials and sophisticated technology in adherence with set industry norms. Our offered sun shades are used to protect from UV rays and gives the residential and commercial places an enchanting look. 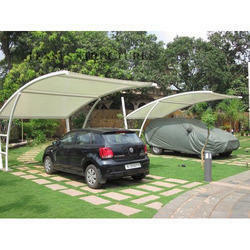 Being a client-centric organization, we are offering Single Car Park Shades. These shades are the perfect solution for roofing the cars. 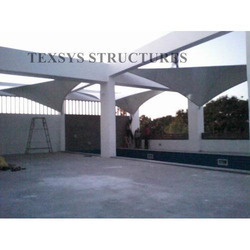 To cater the demands of our valuable clients these shades are available in different sizes, shapes, and dimensions. The offered shades are manufactured using the best quality raw materials and innovative technology by under the supervision of our adept professionals. 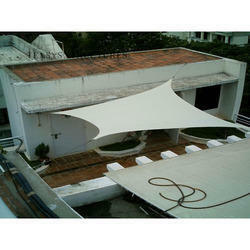 Fabric Roof can be customized to match your designs and imagination. Developed with extreme care and attention, our Fabric roof are available in various designs, styles and color combinations to meet most of the expectations of our clients. Available at affordable prices, our tents come with a range of interior design accessories to compliment their decor.